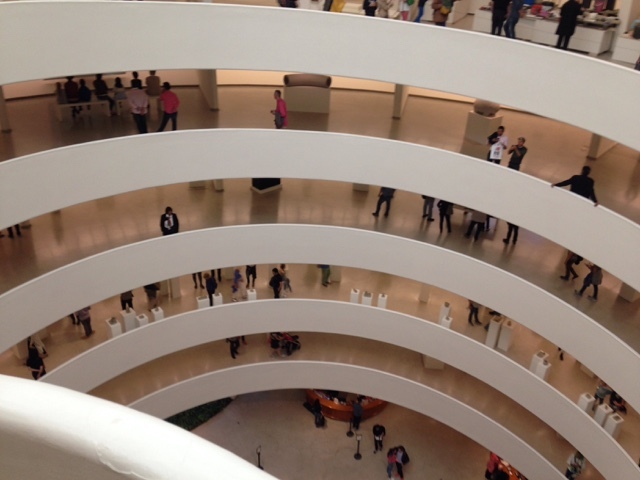 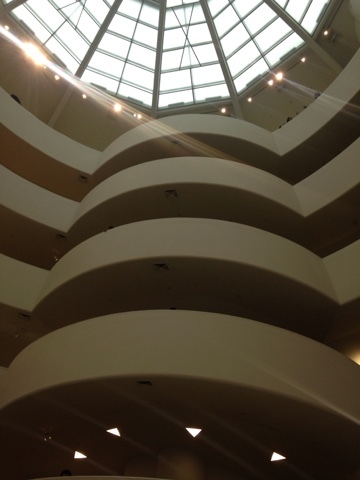 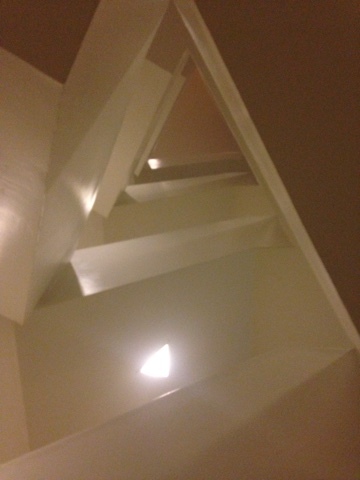 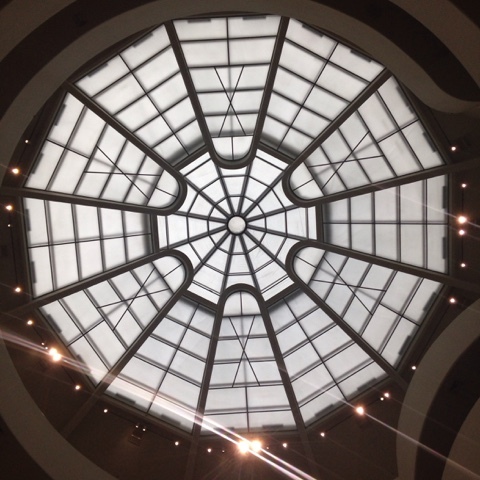 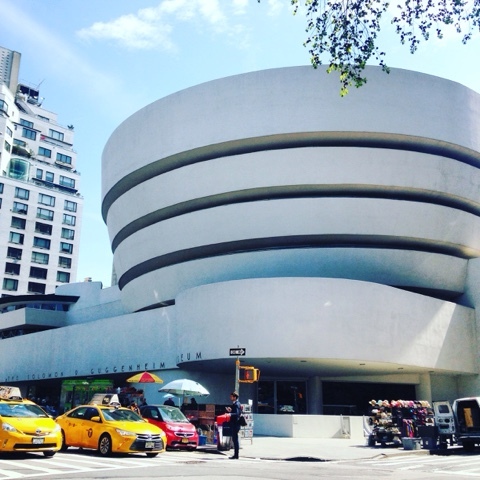 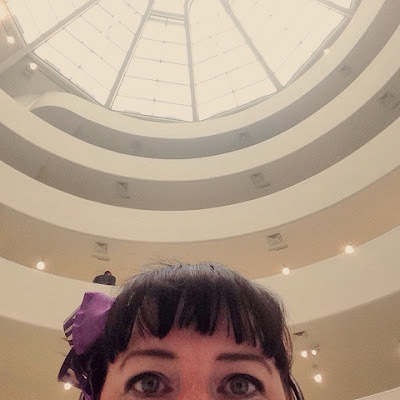 I visited the Guggenheim in New York City when I went on a trip there in late April to do a poetry reading in the Village. I took pictures of the exhibits, which are forthcoming, and I took pictures of the interesting architecture itself, which is featured this post. from the other side of Fifth Avenue - with Yellow NYC Cabs in front, even!